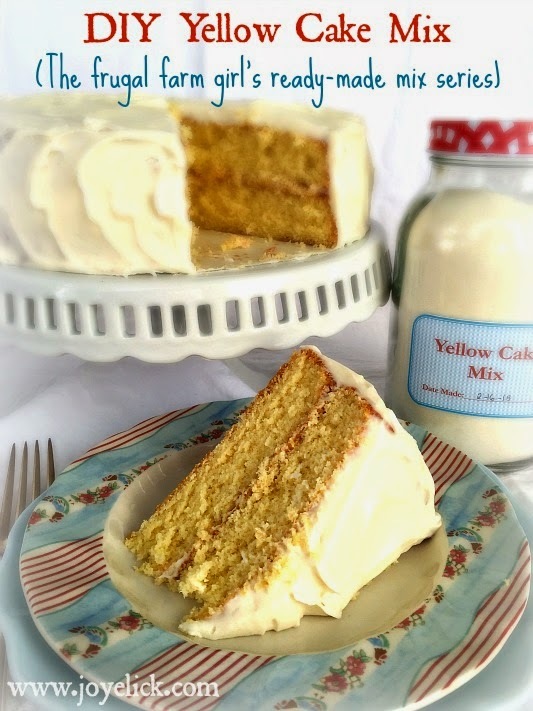 Homemade YELLOW CAKE MIX (Plus DIY CAKE FLOUR): The frugal farm girl's ready-made mix series. Let's face it, cakes baked from scratch taste much better than cakes made from store-bought mixes. That's because made-from-scratch cakes don't contain preservatives and additives. Yet busy girls don't always have time to bake a cake from scratch (at least in my reality). This cake bakes up beautifully and tastes delicious. 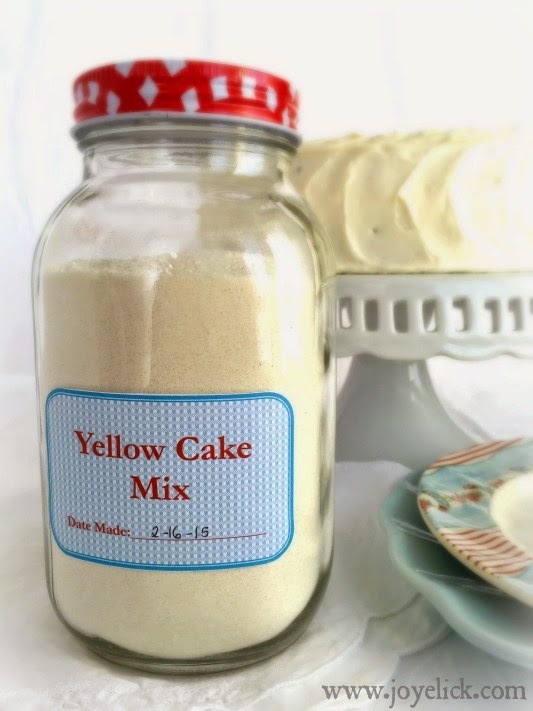 You can use this mix in any recipe calling for a boxed mix. In a large bowl, whisk together all ingredients until well blended. Store mix in a quart-size jar, or another air tight container in your pantry. Use within 1 year. (If you you want to store you mix in jars, the above affiliate link leads to a set of 12 smooth surface jars for easy labeling, though the description on Amazon.com seems to be for only 1 jar). To make your own cake flour, measure 1 cup all-purpose flour into a bowl. 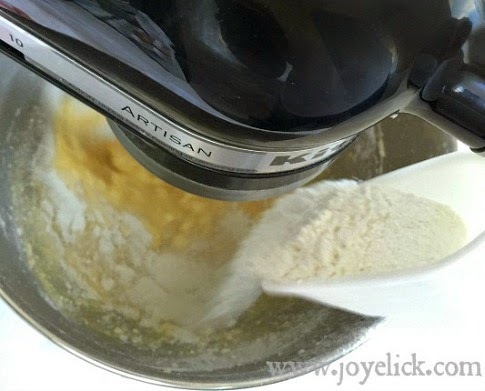 Remove 2 tablespoons flour, and replace it with 2 tablespoons corn-starch (organic, GMO-free is best). Then, using a sifter, sift together 5 times. Do this for the number of cups needed in your recipe, or just make a batch of cake flour so you'll have it in your pantry. It's that easy! Step 1: Preheat oven to 350 degrees. Prepare cake pan(s). If using a 9 X 13 dish, grease generously with butter and coat with a dusting of flour. 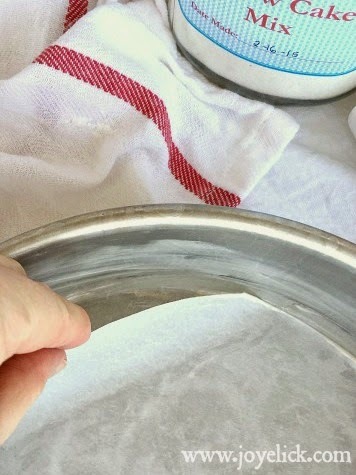 If using two 8 to 9-inch round cake pans, grease with butter and line the bottom of each pan with parchment paper. Set prepared pan(s) aside. Step 2: Cream the eggs and butter together. 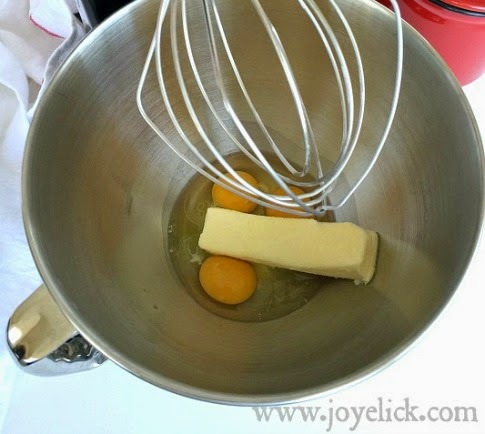 In the bowl of your standing mixer (or you can use a hand-held electric mixer), cream together the eggs and butter using the whisk attachment. Step 3: Add cake mix. Switch to the batter attachment and add the homemade cake mix, approximately one cup at a time, while your mixer runs on medium speed. After each addition, beat well before adding more mix. When the entire mix has been added, switch speed to medium-high and beat for 2 minutes until smooth. 9 X 13 Dish: Bake for 35-40 minutes. Bake according to the type of cake pan you're using (chart above), or until a toothpick inserted comes out clean and cake-top begins to look golden. When done, allow cake(s) to rest in pan(s) on a wire rack for five minutes. 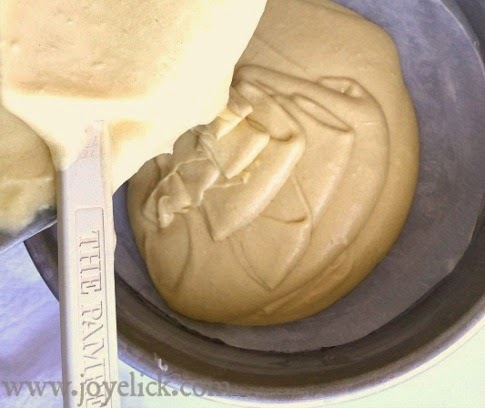 If turning out to frost, hold pan in one hand, placing the other hand over cake-top. Flip upside down into your hand and lay cake gently onto rack. If the cake does not easily release, run a knife gently along sides of pan and repeat the process. Allow cake(s) to cool completely before frosting. Step 6: Frost and serve. 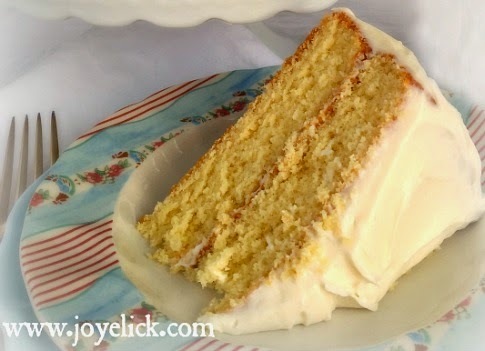 To avoid crumbs wrecking the look of your frosting job, first apply a thin layer over sides and top of cake. Try to keep the frosting on your spreader free of loose crumbs, and be careful not to tear the surface of the cake as you work. Once a thin layer has been applied, refrigerate the cake for about ten minutes. This will harden the layer of frosting just enough to seal in crumbs, making it easier to apply the rest of the frosting for a crumb-free finish. Once you're done frosting, that's it. Your made-from-scratch cake is ready to EAT! 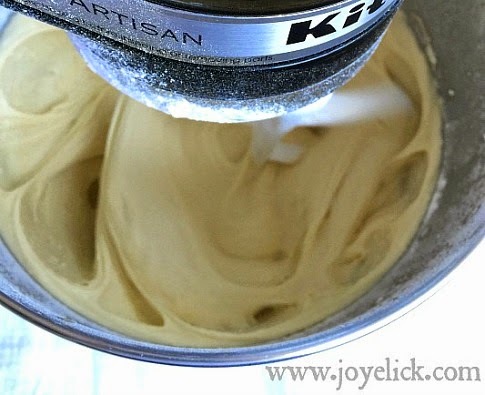 In the bowl of your standing mixer (or you can use a hand-held electric mixer), beat together the cream cheese, butter and vanilla extract until smooth. Add the powdered sugar, one cup at a time, beating well each addition before adding more. 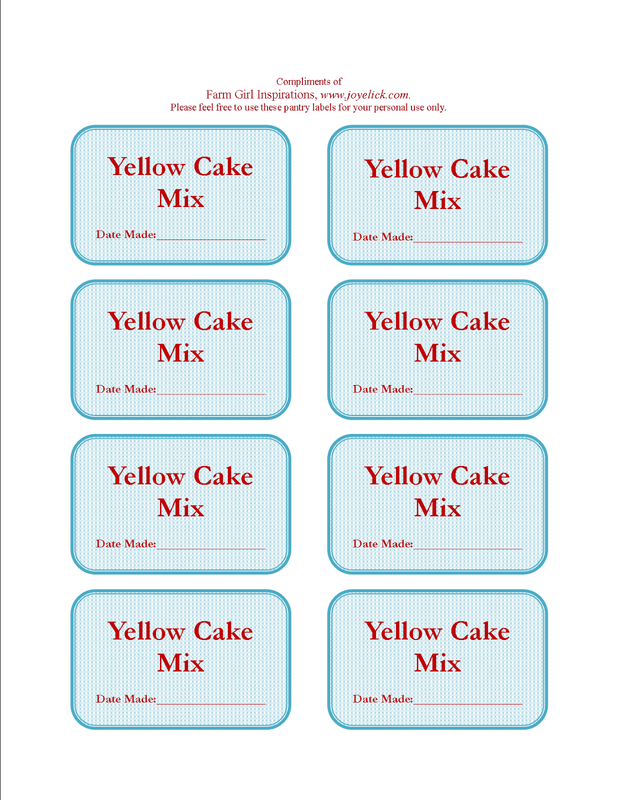 CLICK HERE to download your free Yellow Cake Mix Labels. 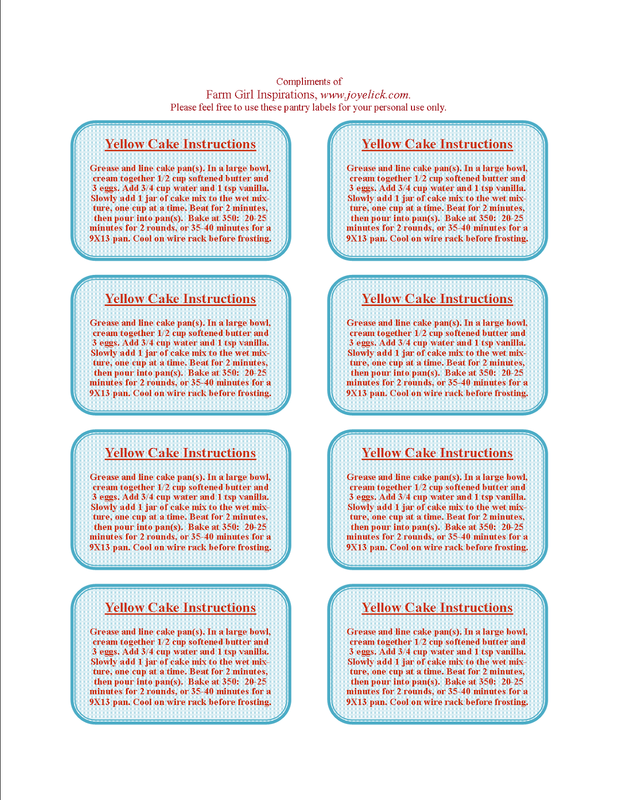 CLICK HERE to download your free Yellow Cake Mix Instruction Labels. CLICK HERE to see an complete index of the posts in this series! LET'S CHAT...Do you have a favorite homemade ready-made mix you like to use? Why do you prefer a homemade mix? I'd love to hear from you in the comments below. Awesome! Also, that's nice to continually possess some motivation in from individuals to maintain your spirit!) Here Recommended Site to visit you will discover more inspirational quotes ever spoken or compiled by the very best of us! Enjoy your existence!